You can rely on Mini Bus Hire Galway to provide a top quality choice of vehicles. Our private hire coaches are maintained in immaculate condition to deliver your party to their destination in comfort and style. My name is Stephen Boland and everything started with a simple goal I had: To use driving as means to entertain and serve people. This goal is what matured to become MiniBus Hire Galway. The experience I gathered in over 20 years of driving has played a very crucial role in the birth of MiniBus Hire Galway. I fully well understand how refreshing a simple drive out in the country can be. The little things like farm animals grazing by the roadside, beautiful fauna or homely pubs and the amazing scenery along the Wild Atlantic Way really add up to provide for a lovely experience. Not everyone is opportune enough to share in this, especially those who spend almost all their lives in a bustling city. That’s why I decided to found MiniBus Hire Galway; because it’s an avenue people can escape to when they wish to experience the joys of nature and the culture of an ancient people; these and many more. We have a fleet of minibuses for hire that cater to customers in numerous ways. 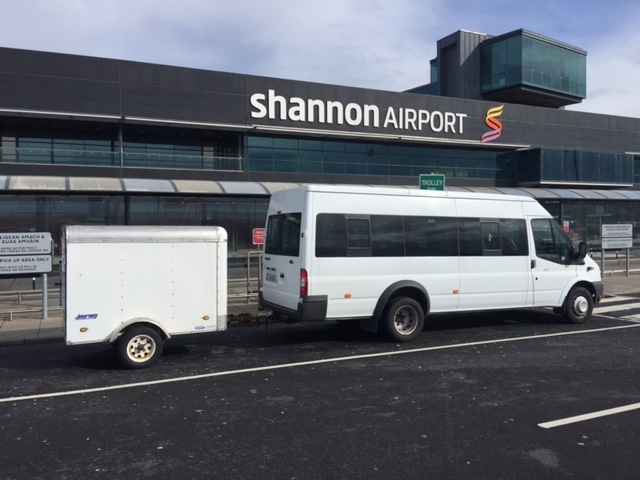 From going on tours all over from Galway City and longer tours around the West of Ireland, our minibuses are equipped to keep you comfortable regardless how long you sit in them and regardless wherever it is you choose to go. Our customers’ wants and desires are most important to us. Anything else is second to that and we make sure to provide them with the best services possible. Giving credence to this is the fact most of our customers have at one time or another hired us before; they even refer other people to us, expanding our chain of loyal and satisfied customers. From Airport Transfers to Connemara and Clare Tours to weddings, school outings, corporate group transport, golf trips and hen and stag parties, Connemara Pub Tours, our services are very diverse in number and very high in quality. We appreciate and welcome the opportunity to provide you with excellent service that you will be happy with. Galway City is where we are but our reach and touch extends to all of West Ireland and the Wild Atlantic Way. Enquire now to about your transport needs. We endeavour to respond as soon as possible to all requests.